Personal Expenses, Minibar / Laundry At Hotel. Tips To Driver And Guide. Arrive Jakarta, Meet And Greet By Our Representative And Proceed For Your Tour. Visit Museum Of Indonesia To See What Is, Perhaps, The Best Displayed Collection Of Indonesian Artifacs And Handicrafts Of The Country, Including 35 Mannequin Couples In Local Wedding Costumes. After Breakfast At Hotel, Proceed To Beautiful Indonesia In Miniature Park, Which Covers An Area Of 160 Hectares Displaying The Diversity In Architecture And Custom Of Each Of Indonesia’s 27 Different Regions. Your Guide Will Lead You Among The Pavilions Illustrating The Multifaceted Indonesia Culture, Visiting Several Of Particular Interest. In The Museum Of Indonesia We Will See What Is, Perhaps, The Best Displayed Collection Of Indonesian Artifacts And Handicrafts Of The Country, Including 35 Mannequin Couples Dressed In Local Wedding Costumes. Lunch At Local Restaurant. 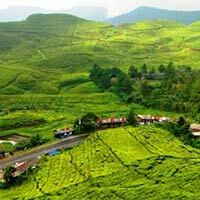 Later Proceed To Safari Park, Our Exciting And Adventurous Safari Journey Is One Of Our Signature Activities In Puncak. Journey At The Safari Park Takes You Through The Habitats Of Indonesia, India And Africa. Coming Face To Face With Many Animals, You Have This Opportunity To See The Wild At Close Quarters, In Their Habitats Roaming Free In The Wild. Prepare Yourself To Encounter The Wild With Gaming Skills (With A Camera Of Course.. !) All From The Comfort And Safety Of Your Air Conditioned Safari Tram, With Your Very Own Personal Guide. Evening. In The Morning After Early Breakfast, Depart Jakarta To Bandung, Head To The Rim Of Tangkuban Perahu Volcano Where You Can Gaze Into The Bubbling Mud And Sulphur Below. You Will Also Visit The Nearby Ciater Hot Springs And Thermal-Spa. After Lunch At Local Restaurant, Have Some Time To Do Shopping At The Textile Outlet, And Drive Back To Jakarta. After Breakfast, Free And Easy. Transfer To Airport For Departure To Next Destination.